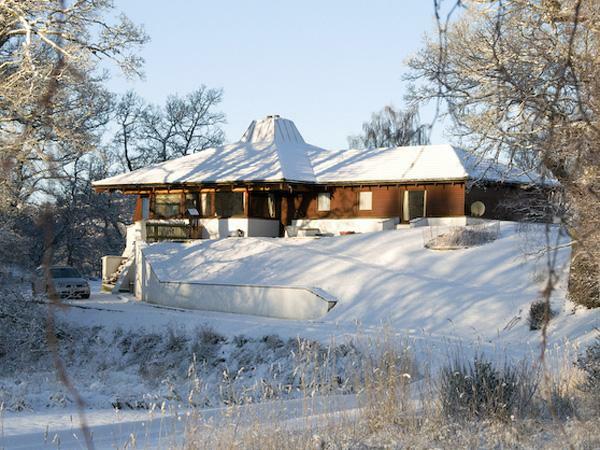 Tiranui Lochside Cottage is a beautiful luxury cottage in its own grounds looking out over Loch Leven. 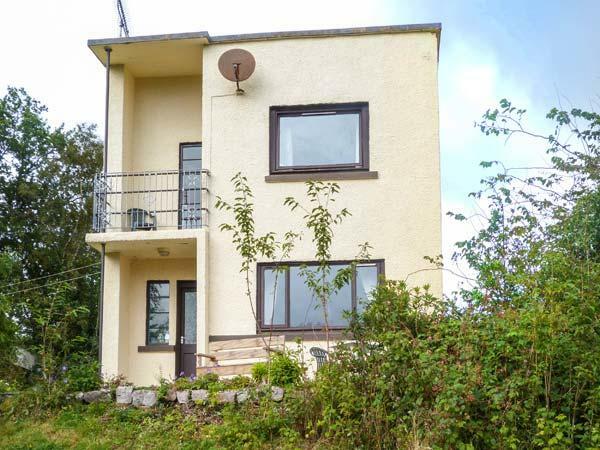 It has 4 bedrooms and sleeps 8 comfortably, but those parties of less than 8 looking for a bit more space it is ideal also, we offer a 15% discount for 4 or less people (excludes July & August). 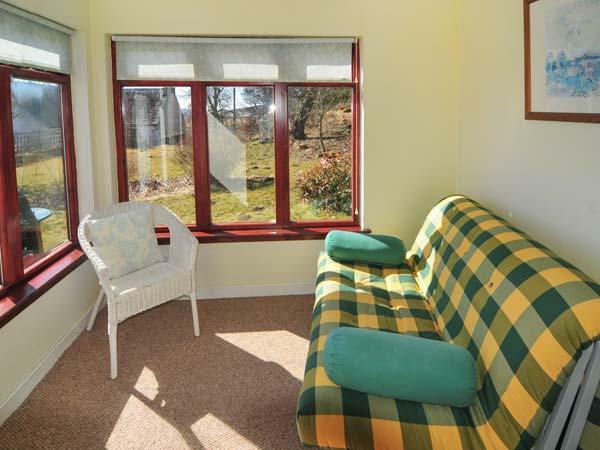 The cottage is bright, airy and has modern furnishings. 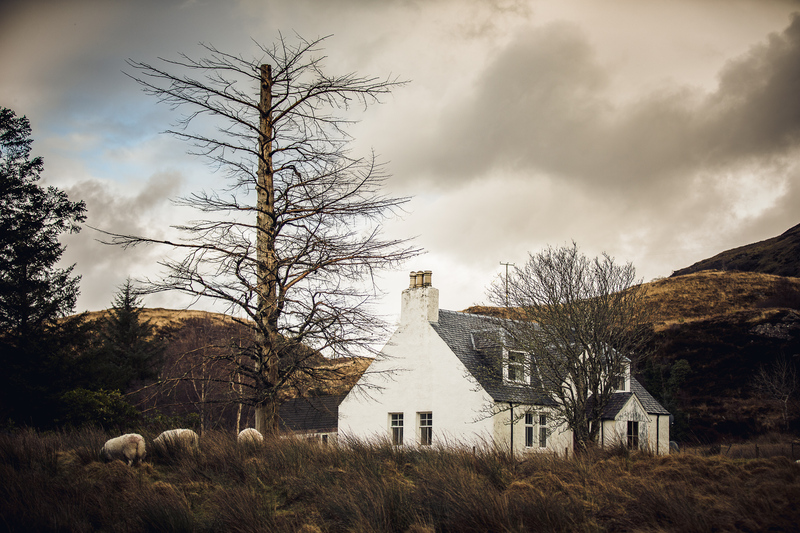 We are situated just over 4 miles from the village of North Ballachulish, 6 miles from Glencoe village, 5 miles from Kinlochleven and 16 miles from Fort William in the stunning West Highlands of Scotland. Make up of party: Family group of seven. We excitedly returned to Loch Leven after an abscence of 12 years with our growing family. Overlooking the Pap of Glencoe (as all the properties on site do)is a breathtakingly beautiful spot & for those who choose to spend time here cannot fail to be captivated by the changing moods and tranquility of the place. (Each window is like a postcard!) Wildlife abounds - too numerous to mention. There are several new attractions including the Ice Factor (indoor ice/climbing centre etc) Fantastic for the children on rainy days and a fabulous new seafood restaurant 2 mins walk away. 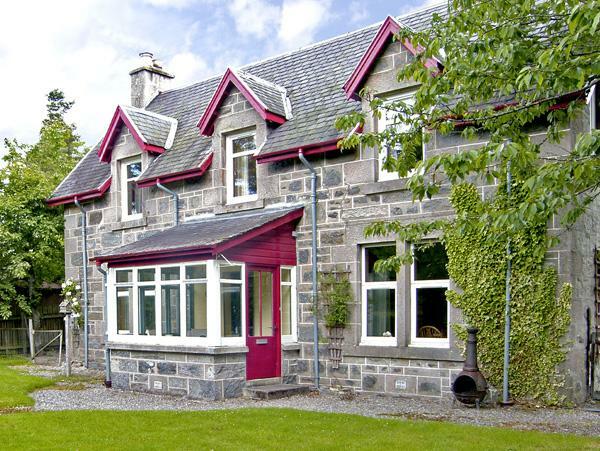 A perfect base to explore the Highlands and return to your lochside retreat for total comfort and relaxation. Ian and Sharon have a lovely balance of hospitality & we shall return! Make up of party: Family 2 Adults and Two girls aged 10 and 11 years. 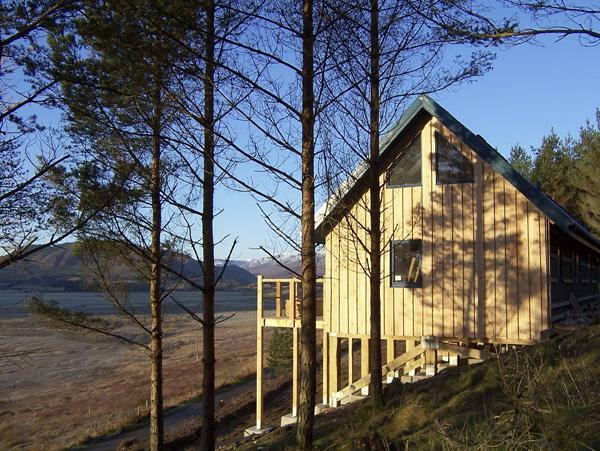 Tiranui is situated in a fantastically quiet location overlooking Loch Leven with unobstructed views of the loch and the Pap of Glencoe. It is extremely family friendly. There seems to be something for everyone who enjoys the outdoors including walking, hill walking / climbing to mountaineering. Cycling, water sports and fishing can all be found near by. We scored with the weather as there was never a dull day, but there are also attractions in Oban, Fort William and Mallaig for the foul weather days. The accommodations were superb and of an extraordinarily high standard both in spaciousness, cleanliness and the fully equipped kitchen. We were visited every day by a variety of birdlife, and on one evening a Pine Martin paid us a visit. The owners, Sharon and Ian were always on hand if required and were very friendly and approachable. So good we are all booked for next year. Make up of party: Grandparents; Parents; Children; Grandchildren. This was our third year at the chalets and, because our party had grown, we booked Tiranui Cottage as well. The fact that we have already booked again for next year shows how fantastic they are! 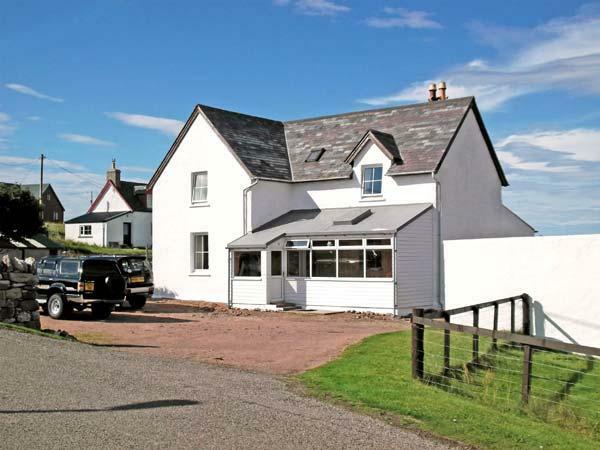 The location is tremendous with superb, unobstructed views across the loch. It is quiet and family friendly. There is plenty to do: great hill walking, climbing, watersports and cycling all nearby. There are towns and other attractions within easy reach. The site is spotlessly clean and very well run and there is a warm welcome from Sharon and Ian who are always very helpful indeed. The accommodation is all you could want: comfortable and well equipped. We have made our visit to Loch Leven an annual family holiday and could not recommend it more highly! 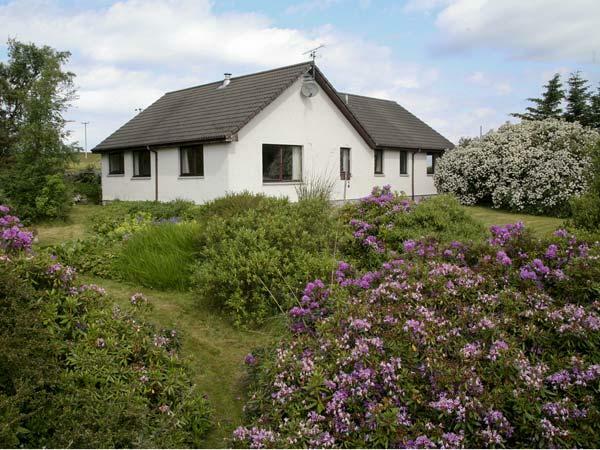 Cottage Review: Nous avons pass� 1 semaine très agr�able et reposante au bord du loch Leven. Tiruani Cottage est un h�bergement id�al pour accueillir 8 personnes, tout confort, avec une vue exceptionnelle sur le loch depuis le salon. L'endroit est formidable pour marcher (Mont Nevis) et se balader dans les Highlands : Glencoe, Fort William, Isle of Mull (à faire absolument ! ), des paysages grandioses sous une lumière changeante. . . pour amateurs de photos. Merci à Ian et Sharon pour leur accueil si chaleureux et leurs conseils si pr�cieux. Ils vous diront où d�ner si vous arrivez après 8h00 le soir , par exemple. . .
Bye Ian & Sharon. hope to see you for a next time. Cottage Review: We have been here three times before and love it. Long trip from Norfolk but hey whatever the weather sun rain or snow it is great. Sharon and Ian are lovely people the best of hosts and always helpful. Tiranui is in a fabulous location, the best views and spotlessly clean. It has everything our party of walkers and non walkers needed. Wildlife there is lots. We will return, we wish we lived nearer. There is lots to do nearby and lots more if you want to drive a few miles. Can't wait til next spring! Cottage Review: Our second visit to this particular location - overlooking the Pap of Glencoe - is there a better view in Scotland? 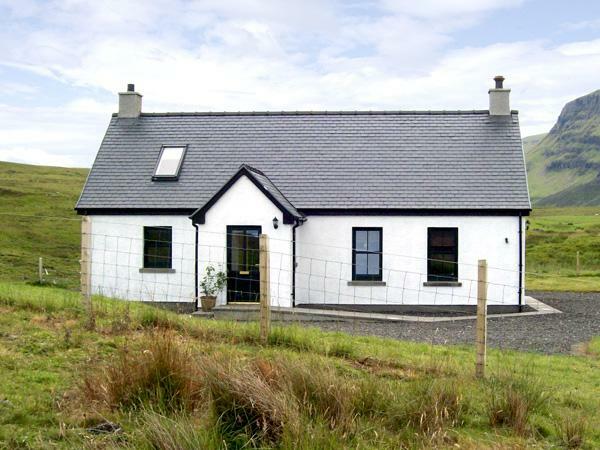 Lochside cottage equipped with all modern facilities, comfortable, clean and well maintained. Sharon and Ian are perfect hosts and make this splendid place feel like home. Local activites include fishing, walking, climbing, watersports etc etc etc - for those who love the great outdoors the list is endless!